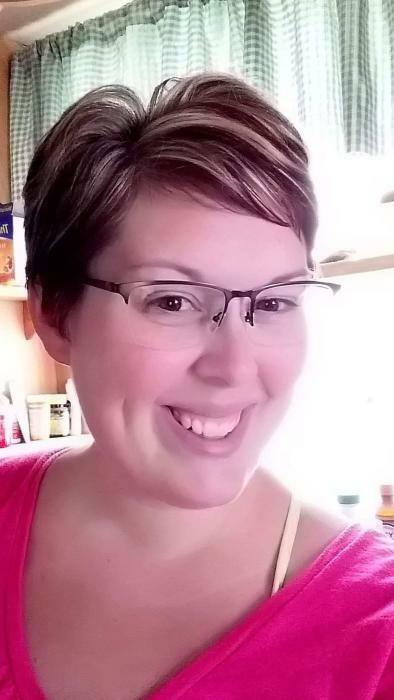 Katie Jo Eggersgluess Rauch, age 34 of Arlington died on Sunday, March 24, 2019 at the University of Minnesota Hospital in Minneapolis. Funeral services will be 11:00 a.m. Saturday, March 30th at St. Paul’s Evangelical Lutheran Church in Arlington. Visitation will be 3:00 p.m. ~ 7:00 p.m. on Friday, March 29th and one hour prior to service time on Saturday all at the church. Interment will be in St. Paul’s Evangelical Lutheran Cemetery. Kolden Funeral Home of Arlington is handling the arrangements. Katie was born on March 15, 1985 to Keith and Kathy (Fisher) Eggersgluess in Glencoe. She grew up in Arlington and graduated from Sibley East High School in 2003. She attended and graduated from Mankato Cosmetology School and worked at various salons and was currently working in the Radiology Department at Ridgeview Medical Center in Waconia. She married Nick Rauch on June 19, 2010 at St. Paul’s Ev. Lutheran Church in Arlington. She liked history, traveling, shopping but mostly loved spending time with family and friends. She is survived by her husband, Nick Rauch; son, Bennett Rauch; daughter, Taylor Rauch; parents, Keith and Kathy Eggersgluess of Arlington; sister, Krista (Tom) Stadick and their sons, Aiden and Alex of New Ulm, best friend, Beth Johnson of Glencoe; mother-in-law, Deb Rauch (special friend Ed) of Hutchinson; siblings-in-law; Matt (Megan) Rauch and their daughter Millie of Cokato; Jake (Sarah) Rauch and their sons, Finley and Weston of Litchfield. Also survived by uncles, aunts, cousins other relatives and many friends. She is preceded in death by grandparents, Orville & Myrtle Fisher and Lyle & Marion Eggersgluess and a child in infancy. She is also preceded in death by father-in-law, Mark Rauch and other relatives.